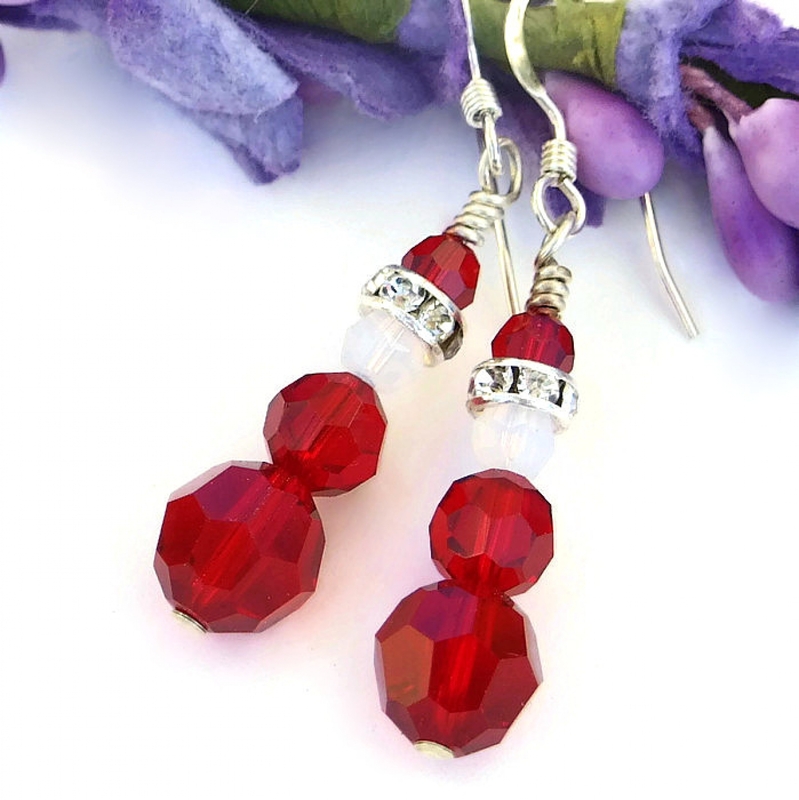 Are you looking for unique, handmade Christmas jewelry that spreads fabulous sparkly cheer? 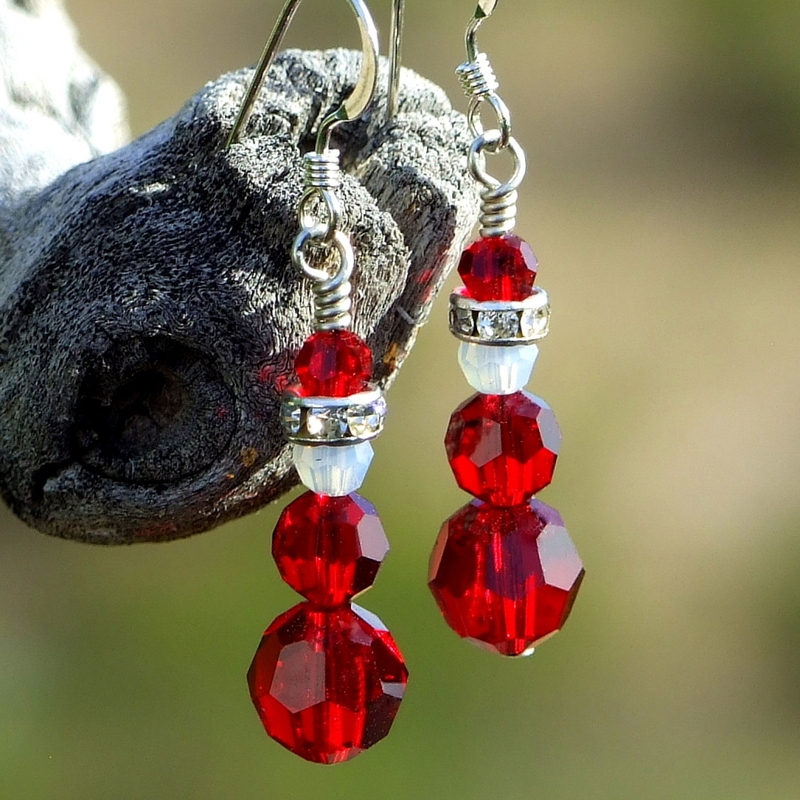 These wonderful Siam red Swarovski crystal and sterling handmade SANTA earrings add a tremendous pop of glittering Christmas bling to your ears! And what fun they are - perfect holiday jewelry to wear to parties or just when hanging out with friends. 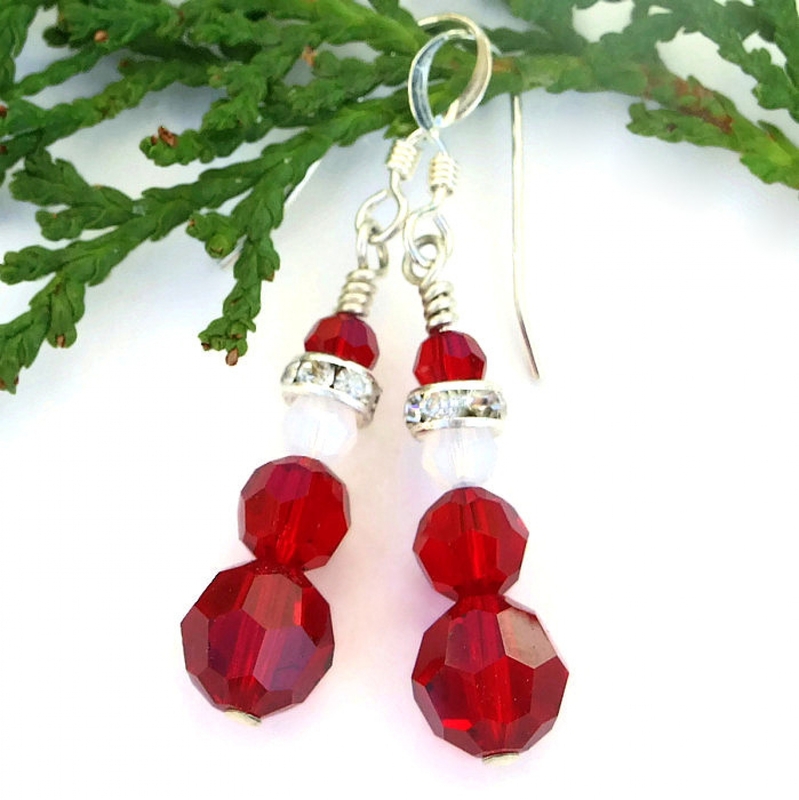 These cheerful Christmas SANTA earrings were carefully designed and created by Catherine of Shadow Dog Designs. In 1892, Daniel Swarovski invented a machine that revolutionized crystal cutting and polishing, causing Swarovski crystals to be considered the standard by which all other man made crystals are judged. 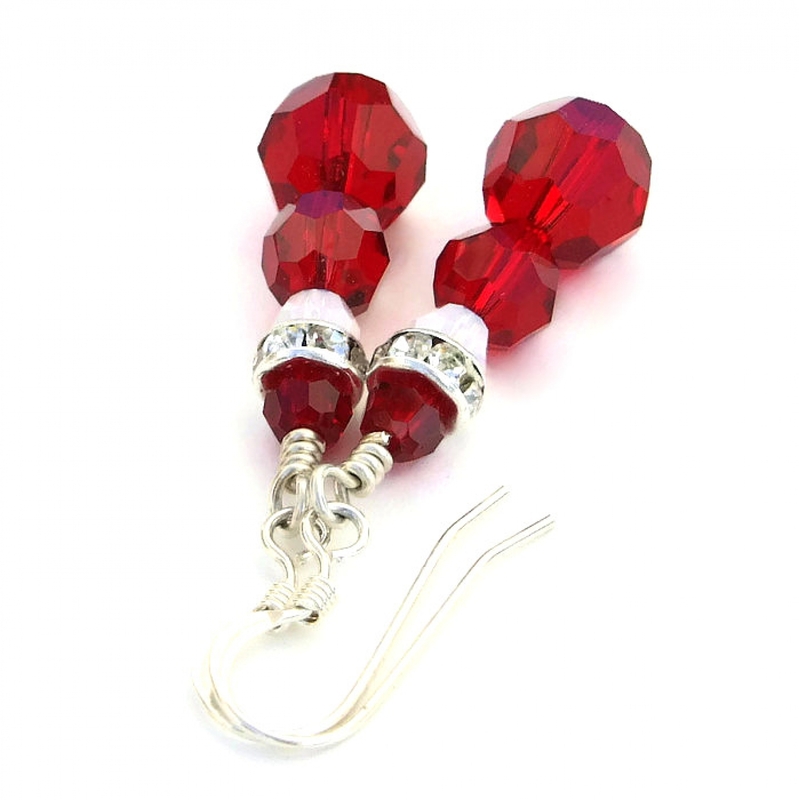 Their sparkle and flash is astounding as you will see when you wear these SANTA earrings! 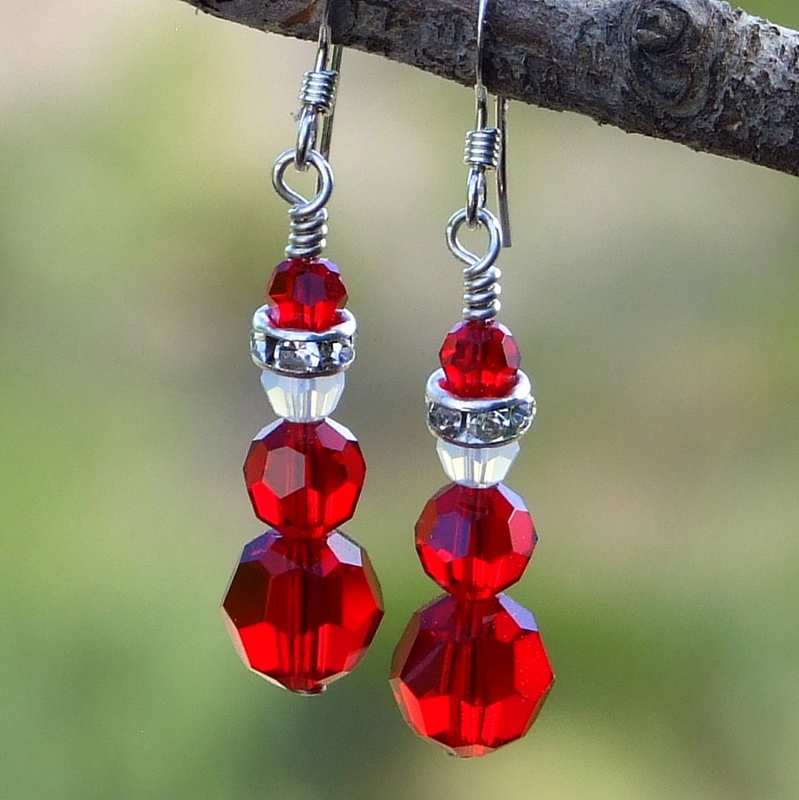 To create the body of the SANTA handmade Christmas earrings, two faceted Siam Swarovski crystal rounds were stacked, the lower being an 8 mm size and upper is a 6 mm size. Another round Siam crystal, this one in a 4 mm size, was used as the top of Santa’s hat. Silver plated Swarovski crystal roundelles represent the brim of the hat, lots of small sparkly goodness! White opal faceted rounds are his face. 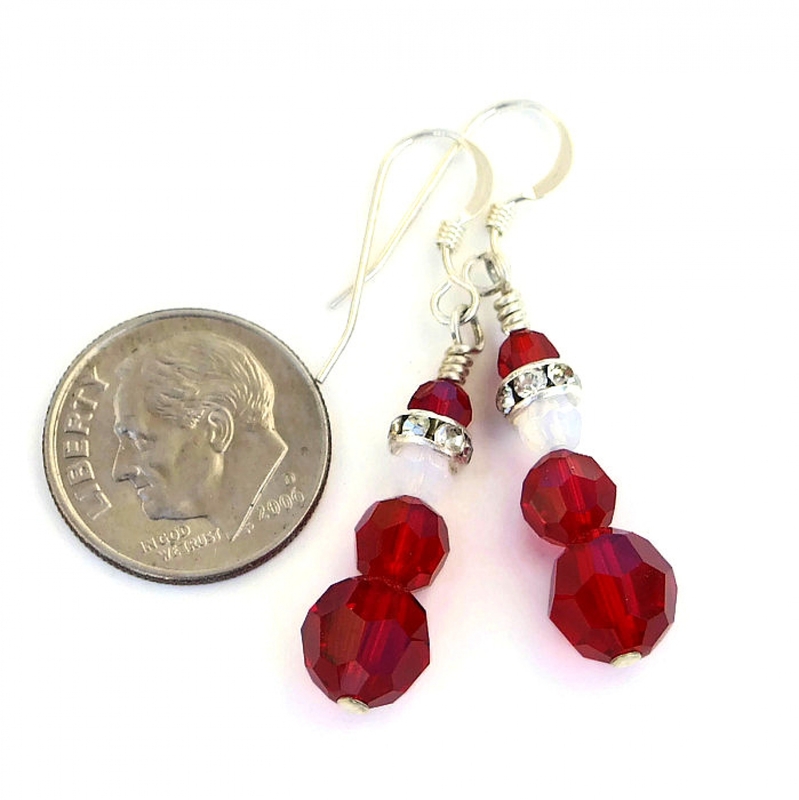 The main body of the SANTA earrings were placed on sterling silver headpins, the top of the headpin carefully wire wrapped into a loop and then hung from sterling silver French hook earwires. Although manmade, crystal (glass) is said to carry the energies of transformation, rebirth and communication. Silver is a metal of love and healing; it is a mirror to the soul, helping us to see ourselves as others see us. 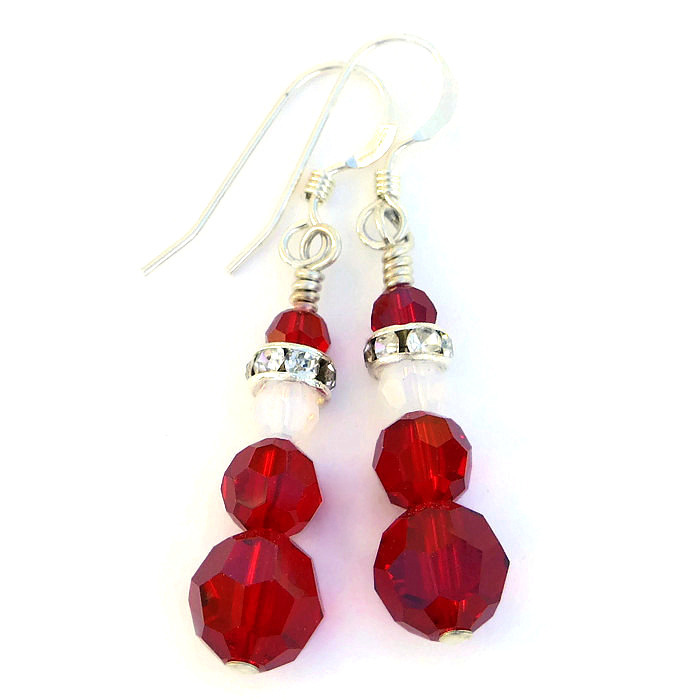 The SANTA Christmas earrings will be carefully packed in an organza jewelry bag, perfect for gift giving to a loved one . . . or to yourself! ***Please be aware that not all computer monitors show colors exactly the same. The colors of the crystals are extremely close to the actual color on my monitor. They may appear lighter or darker on yours.